I know man can not live on bread alone, but I come pretty close. It’s my weakness. Growing up we only had homemade bread. 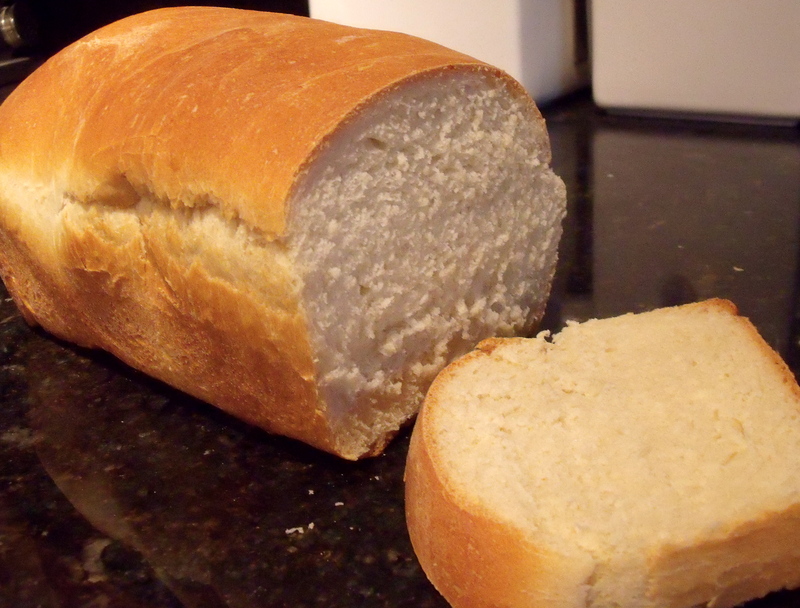 By the time I was 10 I could easily put together a loaf of bread with the simple recipe we always used…by memory. Thinking back on my childhood, I laugh at how embarrased I was to bring my lunch to school. My sandwiches were always so big and thick on the homemade bread, it was just horrifying as a 3rd grader! Oh how I longed to be like the other kids with their mushy white Wonder Bread. When my grandmother would come to visit she would always bring a brown grocery bag filled with several loaves of “store bought bread” and we kids devoured it like it was cake! But like most things in life, you come full circle. Now I love to mix up a batch of bread dough and feed it to my family and friends. It seems so special now! And oh the smell of baking bread in your house…there’s nothing like it! The recipe I use is simple and can be used for several different “breads”. Put ingredients in a standing mixer and knead with a bread hook for about 5 minutes until bread dough looks smooth. Once smooth, cover bowl with a towel and let dough rise for about 30 minutes. Then punch bread down and form into 2 loaves or several small loaves. Allow dough to again rise for about 15-30 more minutes. Bake 350 degrees for about 25 minutes or until golden brown. Enjoy! Our favorite use of this dough is to make world famous West Virginia Pepperoni Rolls! Yum! Take a small handful of dough and place 3 or 4 pieces of pepperoni in the center. Roll up the dough in a roll shape so the pepperoni is hidden inside. Line rolls on a cookie sheet close together (One batch of bread will make about 30 or so rolls) Let rise for 15-30 more minutes then bake at 350 for 25 minutes. Classic WV!! Eat them when they are hot…slice open and put a piece of cheese in the middle. You will be a fan, I promise! We also use this dough for cinamon rolls. After bread has risen the first time, punch down then roll out like pizza dough on the counter. pour melted butter, brown sugar, and cinnamon on dough. Next roll up dough in a long spiral. cut spiral in 1 inch discs. Bake cinnamon rolls in a baking dish at 350 degrees for 25 minutes. From my home to yours, I hope you enjoy this recipe as much as we have. It’s a keeper! Shut Up! You posted the bread recipe. I would hug you if my arms would reach all the way to Georgia. Love the recipe Em. I remember those days at Elon. I think I need to pull out the recipe card and make some cinnamon rolls soon. Hope Hong Kong is great. Love you and miss you all the time. YES!!! The family bread recipe! Sorry for the late comment but i just saw this and got extremely excited! I love your families bread.